In the last few decades, China has seen dramatic changes in the corporate space, with today’s technology and knowledge-based workplace strategies differing vastly from its older, manufacturing outlook. However, the definition of modernity is slightly different from what is generally understood in the West. In China, it doesn’t simply mean modern office designs, dynamic work structures or a razor-sharp focus on workplace productivity. What it does signify, is a unique mix of traditional values and new-age understanding of business growth. The focus is as much on building lasting relationships with the people one works with, as it is on achieving maximum productivity. 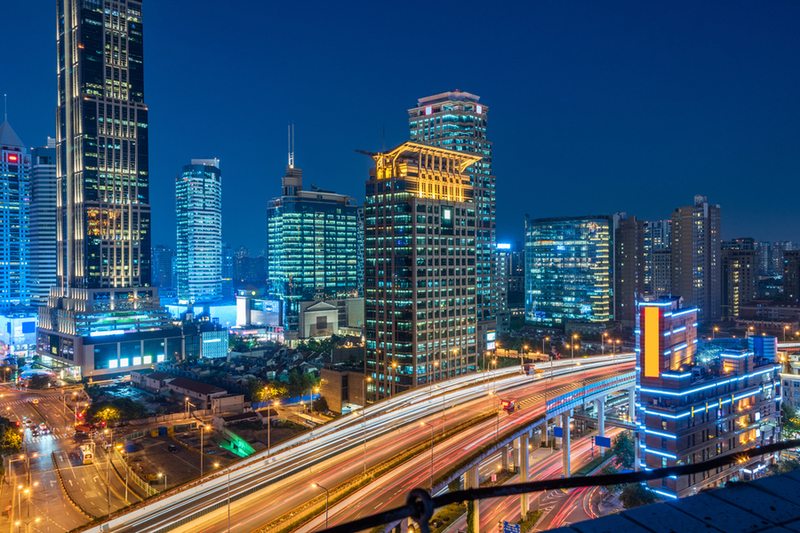 Technological innovation and mobile computing have burgeoned like never before – and today, the city of Shenzhen is being referred to as the Silicon Valley of China. However, even the most cutting-edge tech firms may request that their workspace be designed in accordance with the ancient concepts of Feng Shui. In order to create spaces that will support such a unique corporate culture, one must keep a few factors in mind. The growing popularity of co-working spaces is nothing but an extension of this. Gone are the days when real-estate developers had the sole say over the way a corporate space was designed. Today, the demand for sparsely furnished, cookie-cutter offices has dwindled away. Modern companies want more than just a space to work from. They want technologically integrated, sustainable offices that are cosy and hospitable too – even if they don’t exercise ownership of such a space but rent it instead. The number of co-working spaces in China has doubled in the two-year span between 2014 and 2016.2 Changing generational goals have a big role to play here. Millennials make up a massive part of the Chinese workforce, and their aspirations are quite different from the older generation. Job security and strict adherence to hierarchical values were two main pillars of corporate culture in the past. Employees preferred the privacy of their cubicles, managers had their own offices, and higher management and C-level executives would often have offices on a different floor altogether. While corporate structures are still not as flat as in the West, Chinese millennials are slowly shifting their focus from status and titles in favour of flexibility and innovation. They strive for job satisfaction rather than job security and are willing to take more risks to get there. Guanxi refers to the personal connections one builds in his or her career and the level of trust and mutual understanding one enjoys with business associates. The greater the bond, the better the guanxi. Establishing good guanxi has been connected to business success. After all, if the people in your network trust you and your abilities, they are more likely to seek out your services, rather than placing their trust in new partners and vendors. Modern companies are moving away from the obligatory aspects of guanxi, but they do see its collaborative and unifying facets. They want to make the most of it – and they want their workspace to reflect that. A great way to do this is to incorporate open spaces, cafeterias and break rooms, where employees can brainstorm, come up with creative solutions – or simply catch up over a cup of coffee and build good guanxi. However, given that multi-generational companies still subscribe to traditional hierarchical views to some extent, these design elements are best balanced out with private workspaces. The corporate space in China is going through an extremely interesting phase, and with the rapid evolution of the workforce, business aspirations and cultural norms, there has been a growing focus on workplace design concepts. Designing office spaces for Chinese businesses requires a thorough understanding of the employees who will be using them. Here at Space Matrix, we are thrilled to expand our presence in China. With our recent acquisition in Shanghai, the firm affirms a stronger foothold in North Asia and reinforces its Pan-Asian footprint amidst the eight countries Space Matrix has offices in. We are now able to service and manage projects all the way from Australia and India to Southeast Asia and China.